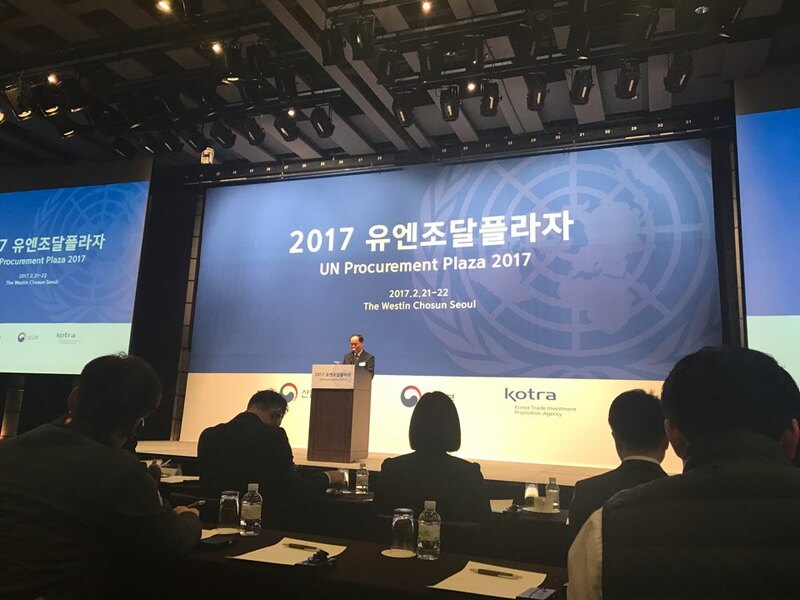 Having started from Feb. 21st, 2017 to 22nd, at Westeen Choseun Hotel, Seoul, South Korea, a skull session was opened indicating know-hows of how to break the 200 billion dollar UN procurement market. We have participated in this event given that Corailing has much interest in infrastructure business. Unlike the other events so far, the UN Procurement Agency and Purchasing section of ESCAP(Economic and Social Commission for Asia and Pacific) has participated in this UN Procurement Plaza. This seminar accounted for how to tender vendors in the UNGM(UN Global Market), and what to consider when breaking the market. On the 21st, a briefing session and a group skull session regarding the UN procurement system, vendor registration procedure and industrial advancement strategy was introduced. On the day after, there was a one-on-one customized skull session. Corailing anticipates that we can take its successful first step of breaking into the UN Global Market with this Procurement Plaza.